It’s amazing to stop and think about Slate Roof Cleaning Houston Texas and what is underneath the surface of the Houston, Texas area. Clays and poorly cemented sands go several miles deep, as the region’s geology developed from river deposits formed from the erosion of the Rocky Mountains. These sediments consist of a series of sands and clays deposited on decaying organic marine matter, that over time, transformed into oil and natural gas. Beneath the layers of sediment is a water-deposited layer of halite, a rock salt. The porous layers were compressed over time and forced upward. Another amazing transformation that has occurred from underground is slate roofing material. This fine-grained, foliated, homogenous metamorphic rock was at one time many thousands of years ago a sedimentary rock composed of clay or volcanic ash. When expertly “cut” by striking parallel to the foliation, with a specialized tool in the quarry, many slates will form smooth flat sheets of stone which have long been used for roofing, floor tiles, and other purposes. It is mostly a grey color when seen covering roofs. Some slate roofs can last for 80-100 years, which makes it a much more costly option when compared to traditional roofing materials such as asphalt shingle or concrete tile. Despite the tremendous durability of your Slate roof, the warm, humid Houston climate along with seasonal rains means even this long lasting roof will need to be cleaned and maintained from time to time. Clean and Green Solutions are experts when it comes to Slate Roof Cleaning Houston Texas. Our soft wash approach to roof cleaning ensures that the water pressure exposure will be less than an ordinary garden hose. 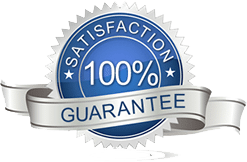 Our technicians are well trained, fully equipped, and uniquely experienced in Slate roof cleaning. 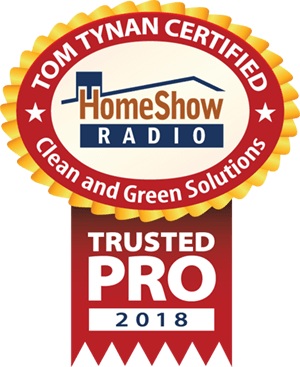 With over twenty five years of experience in the roof cleaning industry, you can trust Clean and Green Solutions to do it right, the first time, every time! 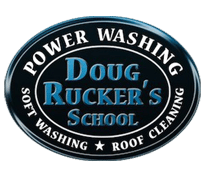 Call or Text us today (281) 883-8470 for a free quote on cleaning your unique Slate roof. Clean and Green Solutions is a UAMCC Certified Roof Cleaning company.